The quality of the recording determines a good production. In our acoustically optimized rooms, we attach great importance to optimally capturing the artist’s performance. No matter if vocals, soloists, voice recordings or complete band; we ensure the perfect sound! 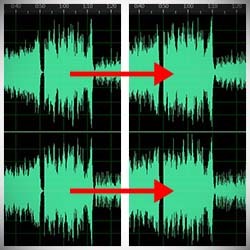 After recording, the mixing is the most important part of the production. With a lot of tact and know-how we create the right balance between the individual instruments and the vocals. Despite the most modern technology, our ear always decides! We also like to mix material that has not been recorded by us. 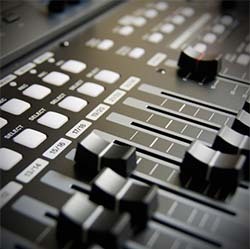 The last instance of a production is the mastering. Here we give the mix the final touch and make sure that the song sounds good everywhere. Also for music that was not produced by us, we are happy to do the mastering. Jens Silz, founder and Chief Engineer of Firecrest-Music, is not the only one on the mixing console to support every production. Even behind the drums he can provide a powerful sound. 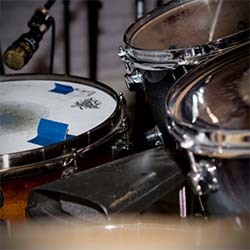 As a professional studio and live drummer, he draws on years of experience in all popular music genres and gives each recording the right groove. You can always send us your individual request via the contact form.